While there hasn't been any new news from the Fables movie front (yet) - apart from at Comic-Con last week DC's Diane Nelson said "Fables is a top priority" (!) - it doesn't mean it isn't being talked about, nor that some fairly qualified people aren't weighing in with their (worth more than just) two cents. 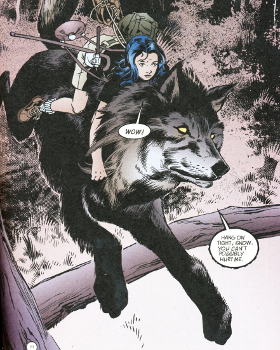 Fables artist Mark Buckingham, while acknowledging that the Fables world is very complex and has a huge variety of options in story lines and characters to concentrate on, regarding a "first" movie, he believes there are at least two "must have" characters, if the world (and franchise) is to get off on the right foot. I think if it doesn't have Snow White and Bigby [Wolf] in it, then... [that's a problem]. They were such a core element of the first 50 issues of the story. So I think their romance, their relationship, is a really core aspect of the series. 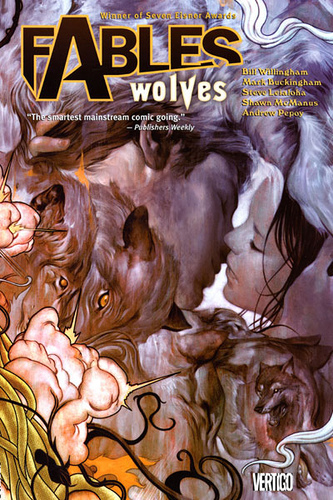 Beyond that, the beauty of Fables is it has such a rich cast, and you can really cherry-pick a lot of different aspects from it, and create a really good story, even if you don't necessarily follow the entire narrative. 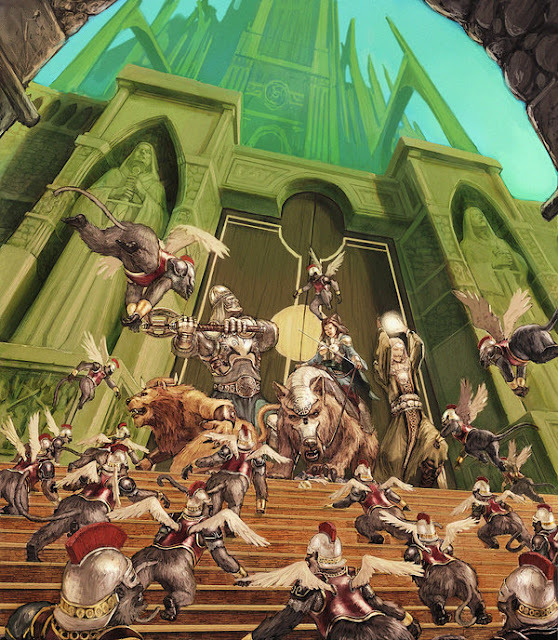 The "Fables" universe has grown to rival that of the entire DC superhero universe, which makes sense considering that the title counts pretty much every fairy tale character created across the world in its cast—and plenty of original characters too. 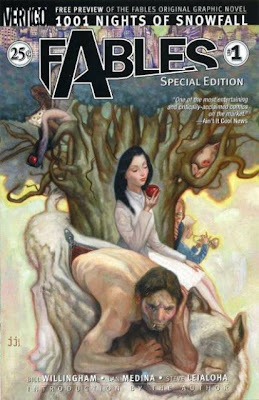 "Fables" has been running since 2002 and produced over 130 issues, not including any of its spinoff series like "Jack of Fables" and "Fairest." Pinpointing one story to tell in one film seems like a rather daunting task, especially considering that the comic's first main storyline—involving the return of the mysterious and dangerous Adversary—took about 75 issues to tell. That's a lot of story for a movie. 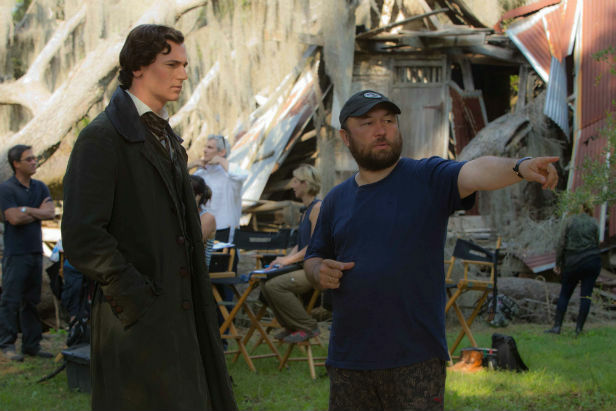 No actors have been cast yet and the project is still very much in the development phase over at Warner Bros. Nikolaj Arcel ("A Royal Affair") will direct, with Jeremy Slater handling the screenplay. Given that there really is just so much to choose from, what would be your choice? Do you think Warner Bros will follow a growing trend of telling more male oriented fairy tales* such as those Jack or Peter & Max (though that wouldn't open the way for a franchise in quite the same way), or will they follow Issue 1 to set up the world and "cherry pick" from there? 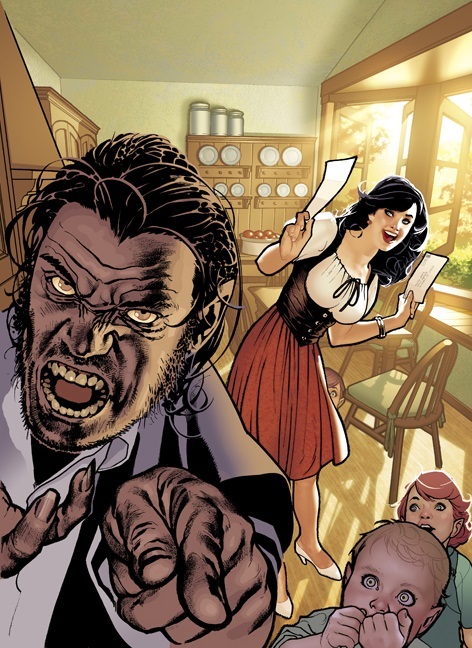 Personally, given that the Fables game (scroll down link to see game info) tells the prequel of Bigby Wolf, I'd be surprised if he wasn't a key player in the movie. 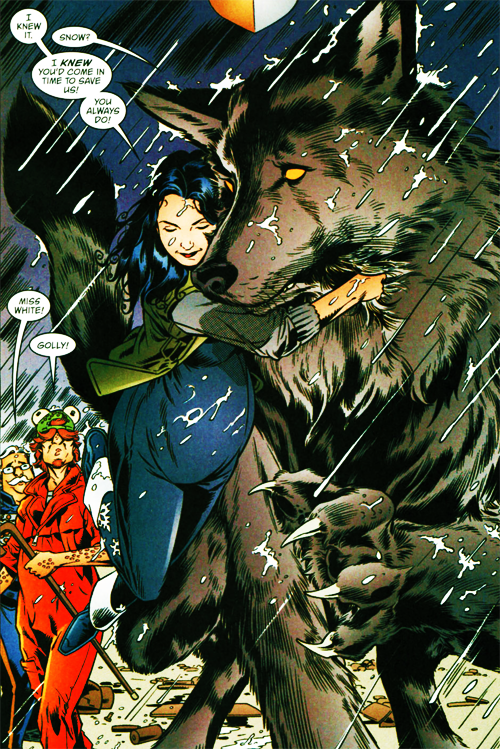 That combined with the "first 50 issues" argument makes for a strong case for Snow & her Wolf to be the stars of a first Fables movie. It's Kafka for kids! 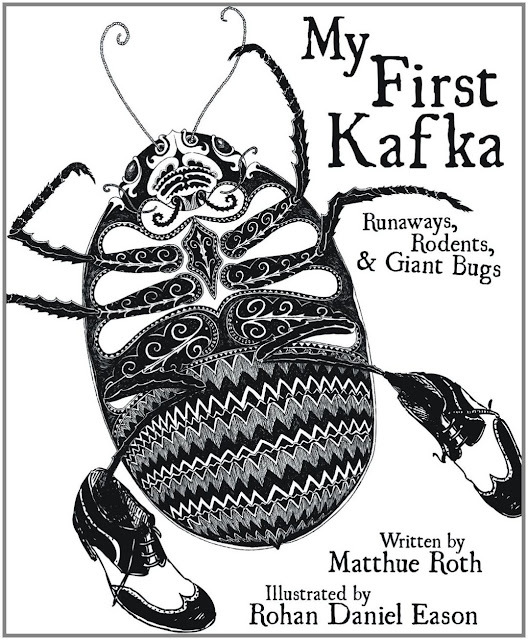 Writer and video game designer Matthue Roth reads Kafka to his kids one night, almost by accident ("Tell us a story Daddy! No. A NEW story!..") and boom: an idea for a children's book is born. 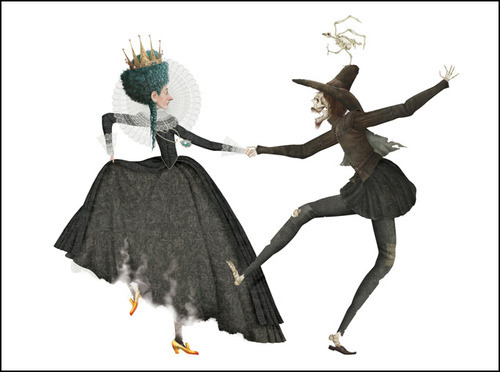 Our infatuation with fairy tales is at an all-time high, from young adult novels like “Cinder” by Marissa Meyer to darker fare from Hollywood, such as the upcoming Angelina Jolie vehicle “Maleficent.” Of course, there’s a long history of grim (and Grimm) tales that have fascinated children, who are as delighted by the spooky and scary as they are by Cinderella’s mice. 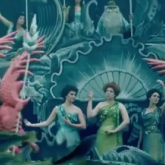 It’s just we’ve spent a long time Disney-fying them for modern audiences. 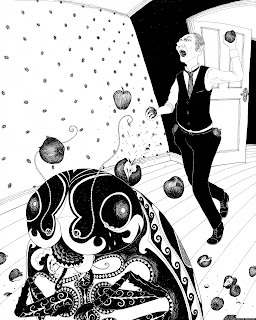 Matthue Roth’s new book “My First Kafka: Runaways, Rodents, and Giant Bugs” fits perfectly into this genre of satisfyingly strange tales for children. 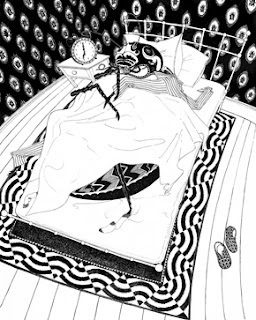 Yes, they’re illustrated Kafka stories, which makes it sound like it’s the sort of wink-wink-nod-nod tchotchke you might pick up for a gift for new parents. When you talk to Roth, however, you realize “My First Kafka” is no joke. Instead of unknown crimes and piles of never-ending paperwork – the more mundane, adult terrors of Kafka’s world – we’re given the sad tales of confused, lost creatures. Yet the grotesquerie of a man who is inexplicably transformed into a bug is exactly the sort of thing that would thrill a young audience. But what exactly is this book about? Isn't Kafka well... Kafka? 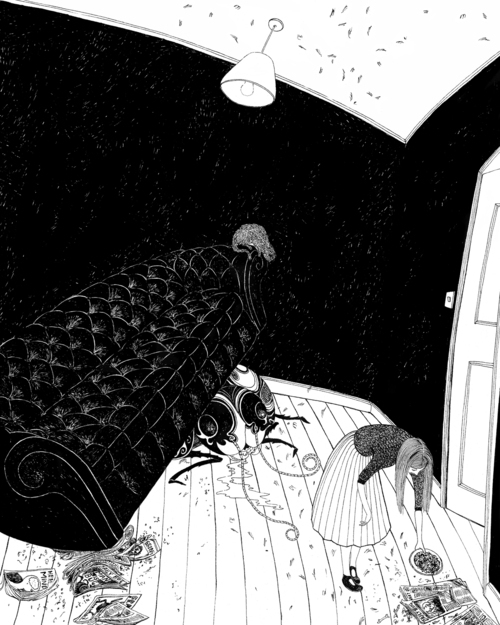 With stunning black-and-white illustrations by London-based fine artist Rohan Daniel Eason, this gem falls — rises, rather — somewhere between Edward Gorey, Maurice Sendak, and the Graphic Canon series. As for the choice to adapt Kafka’s characteristically dark sensibility for children, Roth clearly subscribes to the Sendakian belief that grown-ups project their own fears onto kids, who welcome rather than dread the dark. Indeed, it’s hard not to see Sendak’s fatherly echo in Eason’s beautifully haunting black-and-white drawings. Did you feel OK when you woke up this morning? Spare a thought for Gregor Samsa, that most unlucky of literary heroes. 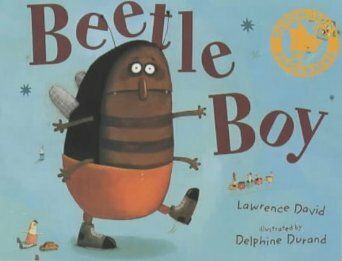 "When Gregor Samsa woke up one morning from unsettling dreams, he found himself changed … "
There is also a great little picture book called Beetle Boy by Lawrence David (and illustrated by Delphine Durand) that reminds me very much of this. When I finally found it in our bookshelves, I found that it was, indeed, inspired by Kafka's Metamorphosis, the intent being to rewrite the story for much younger readers. I'm pleased to say this one is a favorite in our house, so this "Kafka for Kids" should fit in well. 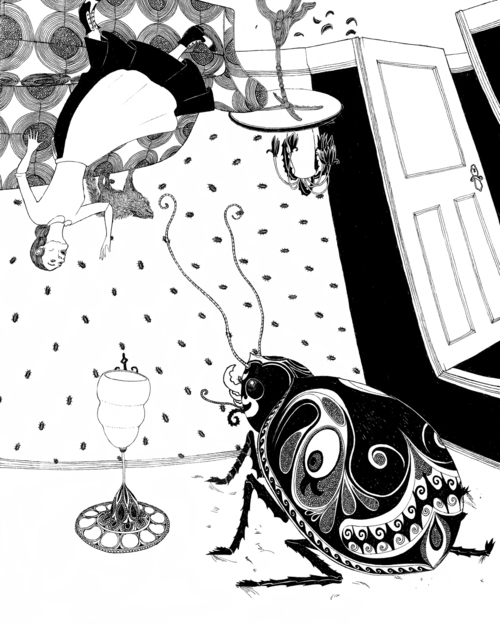 * I nearly posted on the Google doodle on Kafka's birthday, thinking that Metamorphosis has a certain fairy tale quality, albeit with a difference. I should apologize for not highlighting this when it came in, but honestly I didn't think it was weird, different or standout when it did. It didn't occur to me to make a big deal of a black woman being cast as Goldilocks because, well, why not? So I'm posting a LOOK AT THIS! just in case I really should have pointed this out as a big deal, because to some people it (rightly) will be. 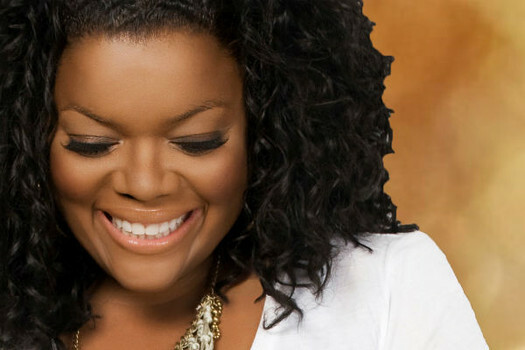 Yvette Nicole Brown is playing Goldilocks (actually, Goldie Locksley) on Once Upon A Time! Sort of. 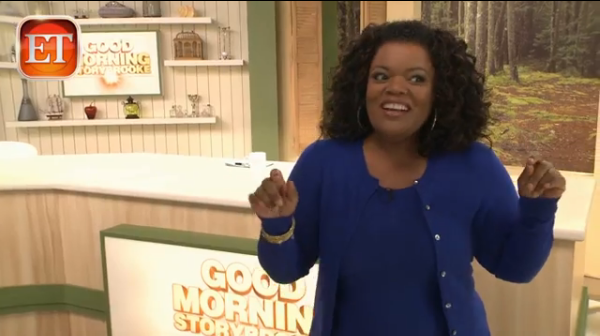 Yvette won’t be on the hit ABC show when it returns this fall; instead, she’s featured as Good Morning Storybrooke news anchor “Goldie Locksley” on OUAT Season 2 bonus features, ET Online revealed today (July 18, 2013). 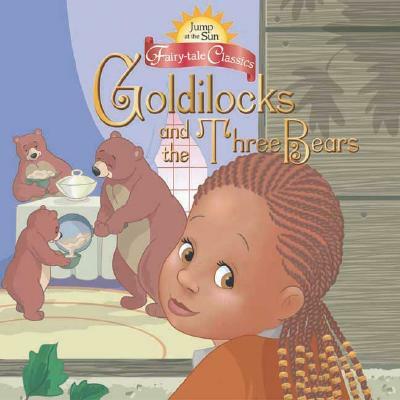 She describes her unique portrayal of Goldilocks as a “Katie Couric” type who is “really bubbly and smiles a lot,” which is unsurprisingly familiar to her Community character, Shirley. 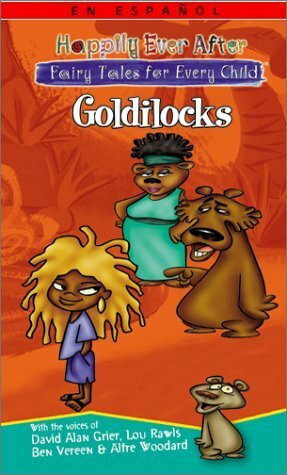 Though Yvette admitted that “every black chick in Hollywood is waiting for that call for [The Princess and the Frog’s] Tiana,” she’s happy “they made Goldilocks a curvy black chick.” To see her twist on the classic character — including Goldie Locksley’s reports on Bambi’s survival, the town’s wolves acting up, and the Little Lady Who Lives in a Shoe,” pick up Once Upon a Time: The Complete Second Season on August 13. I do find this interesting though: a call to see whether people would like to have Ms. Brown join the OUAT cast as a show regular. The only problem I see with this is that such a character really is larger than life and difficult to keep under control the radar, which may not fit well with the soap-like dynamic of individual crisis' happening in Storybrooke (although the main cast aren't even there this season, they're in Neverland), but I like the potential for shaking things up. Would you like to see Yvette Nicole Brown on OUAT permanently? Check out a Good Morning Storybrooke set visit video below, then hit the comments with your thoughts! 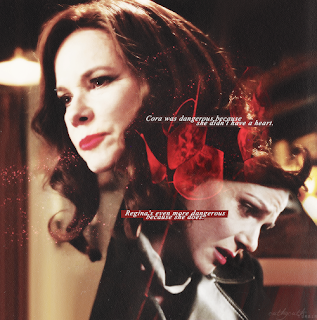 For myself, I would LOVE to see her riff on the Once upon A Time doings! She was a fantastically insightful, smart and very funny guest on The Talking Dead last season (hosted commentary show immediately airing after the latest episode of The Walking Dead - not to be missed if you like pop-culture - the thoughts thrown around here are really punchy stuff) and I wondered then why I hadn't seen her talk more as herself, rather than just as a character. If you want to see Ms. Brown join the regular cast, pipe up HERE! Some of you know that my “day job” is in Higher Education. 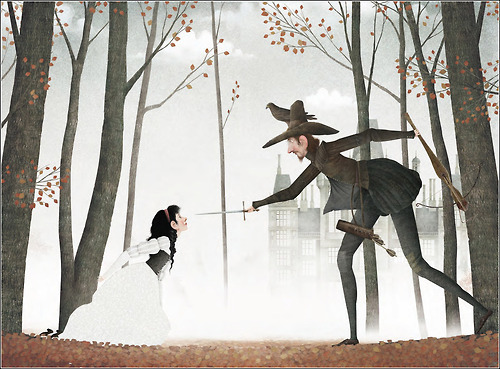 Among the classes I teach is one on Fairy Tales, with focus on Disney, Grimms, and Perrault. This college class is now available to the general public, and it’s completely free! There’s not even a book to buy for the class! The class is a massive open online course (MOOC) and is administered through canvas.net - it’s free to sign up and take the class! It’s a four-week course starting on August 5. The class was built to expect about two hours of engagement/interaction (“work”) per week, so it’s not meant to overload the participants with chores and duties. In that sense, it’s less rigorous than my regular college classes. The class doesn’t have any required (synchronous) meetings; you do the work whenever you want within the week. This course does not have a completion certificate – you’d be taking it just for the fun of it. There aren’t any papers or projects. While the class does offer quizzes and discussion boards, there isn’t really a rigorous process to “pass” the course since there isn’t a certificate offered anyway. The class is, however, experimental in a different sense: it’s got game elements in it. We added badges and group competition, as well as Easter eggs, throughout the class. Each group is named after one of Walt’s seven dwarfs–it works a lot like the Harry Potter “house” competition, where individuals can earn badges for the whole group. This should be fun! Please feel free to sign up and spread the word. 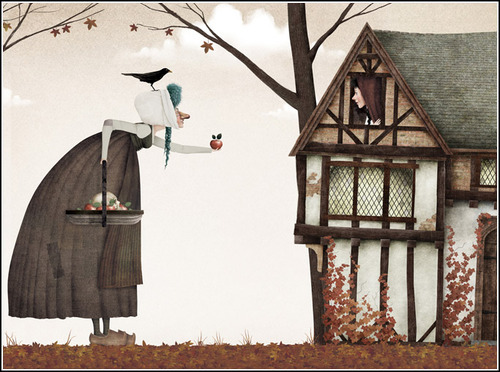 I can’t wait to share with you what these fairy tales used to mean and how they’ve been changed for modern audiences!! Sign up HERE. I've signed up. Will you join me? 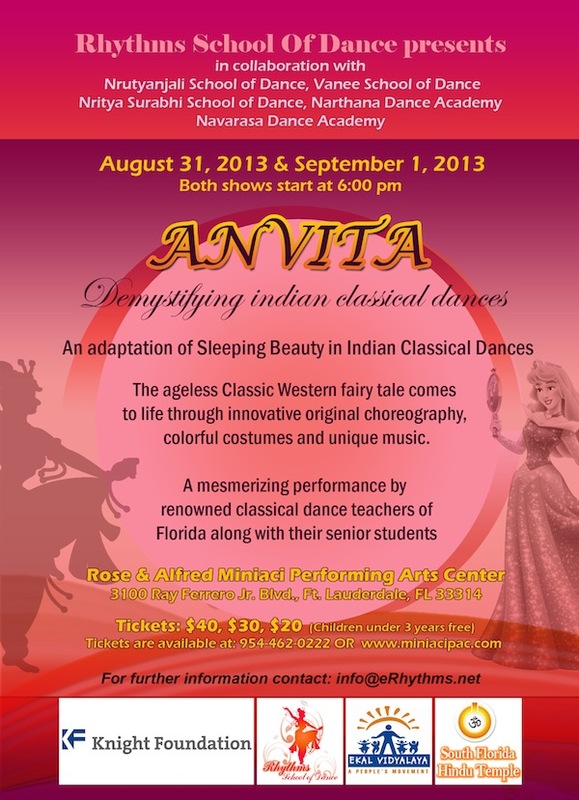 Hope to see some of you next week and talk fairy tales with you! The plot, being a prequel, revolves around how Jareth became The Goblin King Sarah encounters in the movie, giving us a strong sense that this story has been going on (or in circles) for a very long time (sounds very "Faerie"). 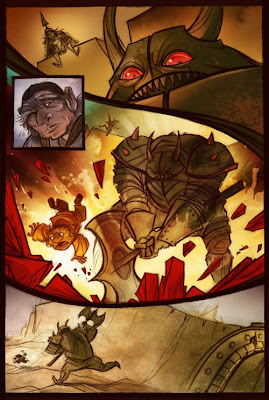 Archaia and The Jim Henson Company are proud to present an original prequel to Jim Henson’s classic fantasy film. Labyrinth is one of Jim Henson's most beloved works, with a built-in audience of millions of fans worldwide. Years before Sarah entered the labyrinth, a young boy named Jareth faced his own incredible journey in a desperate attempt to rescue his true love from the clutches of the wicked and beautiful Goblin Queen. 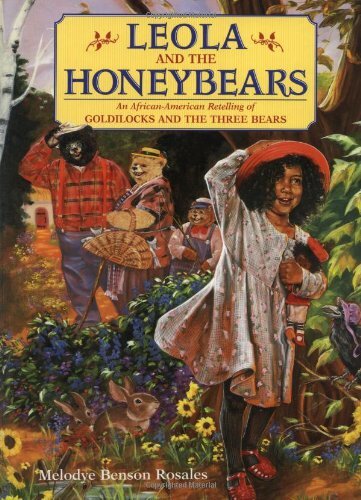 This graphic novel is produced under the complete supervision of Lisa Henson, the daughter of the late Jim Henson and CEO of the Jim Henson Company. The prequel writers are Ted Naifeh (who has recently been working with Holly Black) and Adrianne Ambrose (nominated for a Writers Guild of America award for her work writing video games) and worked very closely with Lisa Henson (the late Jim Henson's daughter) as well as the Jim Henson company in general, which means, this project wasn't just farmed out for profit. The people in charge of the Labyrinth "property" (rights) cared very much about how it came together and I think it shows. 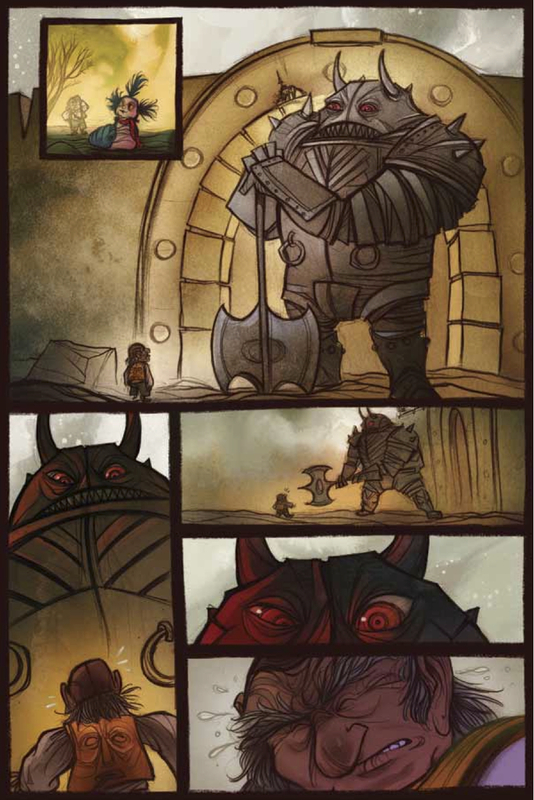 “We can say it’s a prequel*,” (Archaia editor-in-chief Stephen Christy) says with understandable excitement. 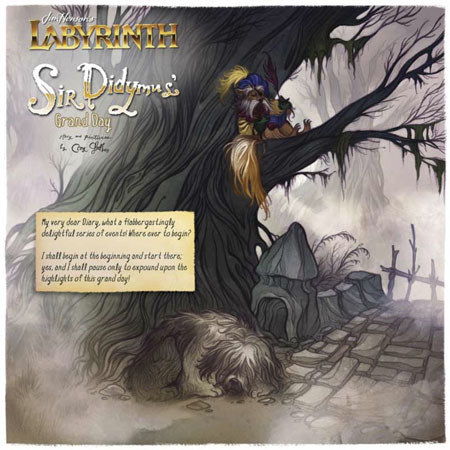 “It’s the story of how Jareth is brought into the Labyrinth for the first time. So, it doesn’t deal with Sarah, it doesn’t deal with Toby or anything like that." So we have yet to find out how much of the original intent remains. All we can say for certain right now is that it's gorgeous! 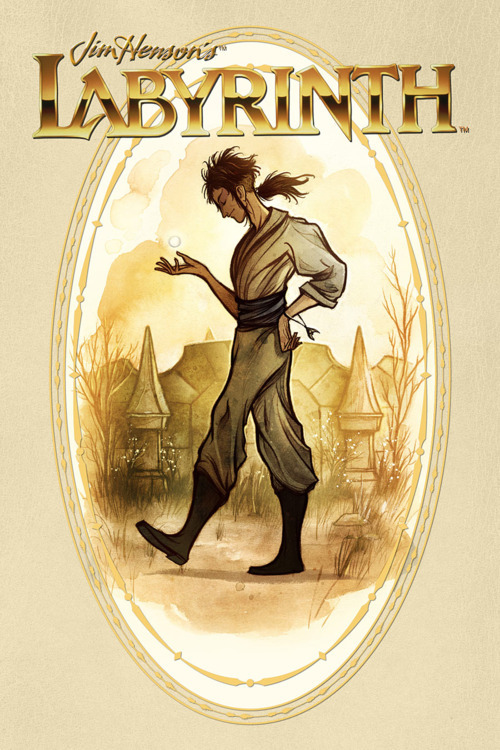 * The graphic novel follows a series of manga sequels to Labyrinth, which featured an older Toby as he returned to the Labyrinth to become Jareth's heir. Note: I began writing a post, only to realize the whole article was so interesting I didn't want to leave any of it out. Rather than pick and choose I contacted Knight Arts Blog and Ms. Warier who kindly gave consent to reproduce the whole article here. 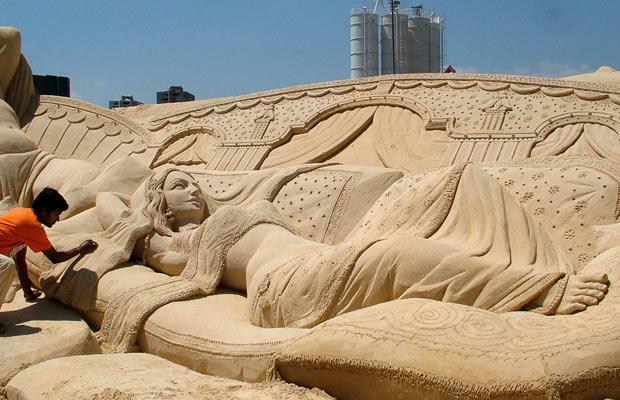 This article was reposted with permission from Ranjana Warier, originally published on the Knight Arts blog. 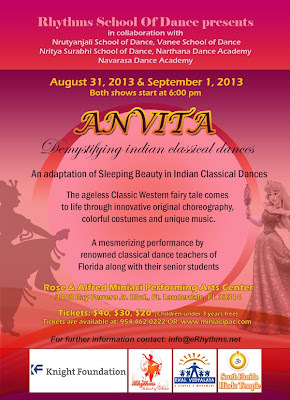 Note: Anvita is an Indian girl's name meaning "understood". 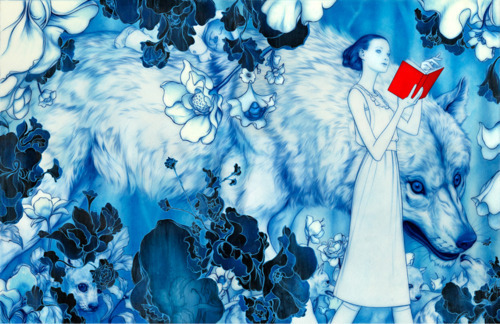 The fifth and final tale from the 200th Anniversary Grimm's Household Tales Tribute by Lx Magazine: Illuminating Luxury. 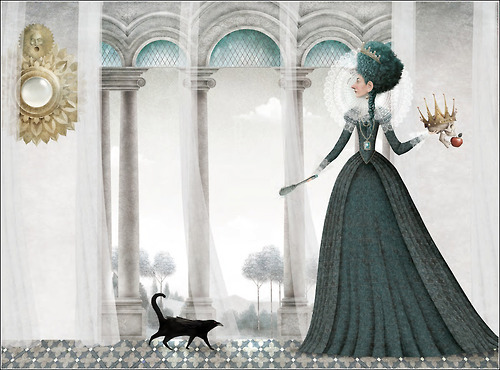 I hope you've enjoyed our little weekly fairy tale luxury postings! There is so much to mine from the 2012 200th anniversary celebrations. I'm glad this was one of them. Beautiful in every way. “After many, many years there came another king’s son into that land, and an old man told him the story of the thicket of thorns, and how a beautiful palace stood behind it, in which was a wondrous princess, called Briar Rose, asleep with all her court. He told, too, how he had heard from his grandfather that many, many princes had come, and had tried to break through the thicket, but had stuck fast and died. 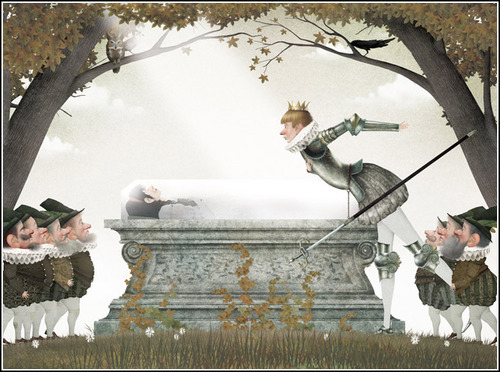 Then the young prince said, ‘All this shall not frighten me; I will go and see Briar Rose.’ The old man tried to dissuade him, but he persisted in going. Now that very day the hundred years were completed; and as the prince came to the thicket he saw nothing but beautiful flowering shrubs, through which he passed with ease, and they closed after him as firm as ever. Then he came at last to the palace, and there in the yard lay the dogs asleep, and the horses in the stables, and on the roof sat the pigeons fast asleep with their heads under their wings; and when he came into the palace, the flies slept on the walls, and the cook in the kitchen was still holding up her hand as if she would beat the boy, and the maid sat with a black fowl in her hand ready to be plucked. Then they went out together, and presently the king and queen also awoke, and all the court, and they gazed on each other with great wonder. And the horses got up and shook themselves, and the dogs jumped about and barked; the pigeons took their heads from under their wings, and looked about and flew into the fields; the flies on the walls buzzed away; the fire in the kitchen blazed up and cooked the dinner, and the roast meat turned round again; the cook gave the boy the box on his ear so that he cried out, and the maid went on plucking the fowl. 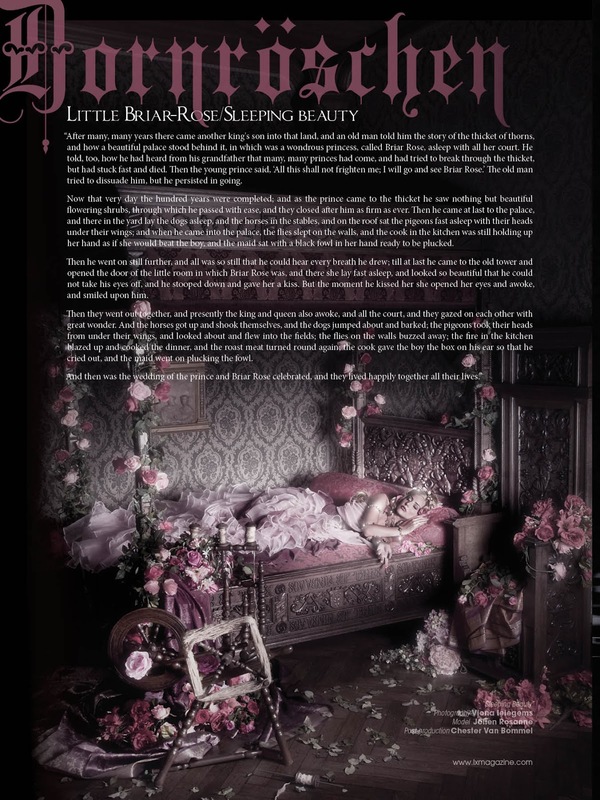 You can read the full tale as published by Grimms Household Tales HERE (translated to English) and learn much more about Sleeping Beauty's history HERE. 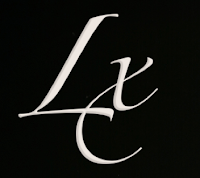 Thus is the end of our tribute tale from Lx Magazine. We are so grateful they shared their fairy tales with us. 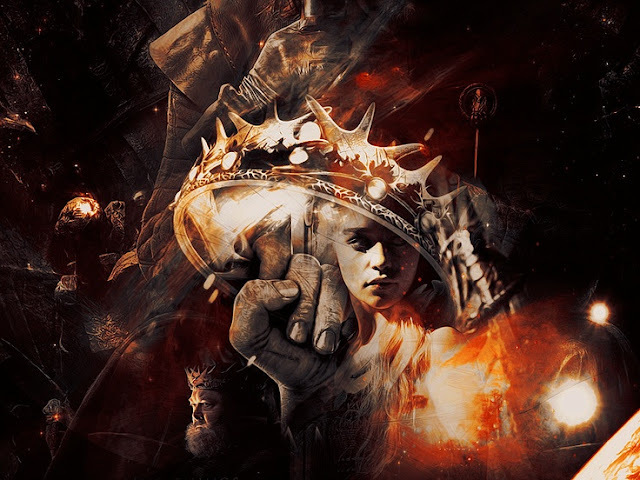 It should come as no surprise that people see fairy tale themes and story lines cropping up in their favorite shows - even where none were intended - and the increase in popularity of "collaged image" fan art from TV shows has become an excellent way of people presenting how they see the show: the themes, the subtext, the fairy tales. The first is regarding the youngest and scrappiest daughter of the Stark family, Arya. So young, yet on the run from many who might seek to harm her. Her family sigil is the "Direwolf" (essentially a monstrous wolf) and though she's had to part ways from her real companion animal, little Arya Stark proves herself wily and adept at navigating her "dark forest". Arya is very much the Little Red Riding Hood we wish our girls could be (while desperately hoping their woods will never be half so dark). You have the eyes of a wolf and a taste for blood. Arya's elder sister, Sansa, is a recognized Beauty and nothing like her sister (or so it would seem to everyone, including the sisters themselves). She was brought up to be a lady and tries very hard to be every inch that example, though is initially a little arrogant in lording that. Even when circumstances turn from her naive idea of fairytale to nightmare, she appears to remain soft in her ladylike manners and beauty. When she becomes trapped by people and circumstance she finds she has nothing left to defend herself with, other than the lessons she paid attention to - to be a proper lady and her spirit which is far stronger than even she knows. In Sansa, the opposite of Arya, we see a different female strength: one with a patient and adaptive spirit. One who quickly understands her limitations and physical weaknesses but doesn't give up hope, doing her best to rally herself to action at just the right moment. The beasts she encounters come in all forms - pretty ones who's souls are evil, ugly ones who show compassion when she least expects it. Sansa herself learns to no longer look on the outside, taking the hard road to wisdom, yet keeping her poise. 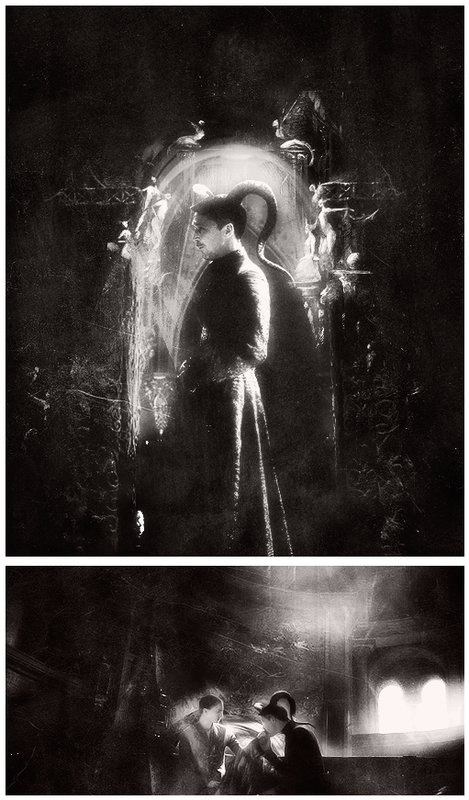 It is the riddle that she must keep solving: who is a true beast and who is a true man? We can only hope our girls will show as much strength as Sansa does (like Beauty), in her situation, no matter what Beasts come their way. He throws our human aspirations to the godlike sadly awry; only from a distance would you think The Beast not much different from any other man, although he wears a mask with a man’s face painted most beautifully on it. Oh, yes, a beautiful face; but one with too much formal symmetry of feature to be entirely human: one profile of his mask is the mirror image of the other, too perfect, uncanny. He is a carnival figure made of papier mâché and crêpe hair; and yet he has the Devil’s knack at cards. 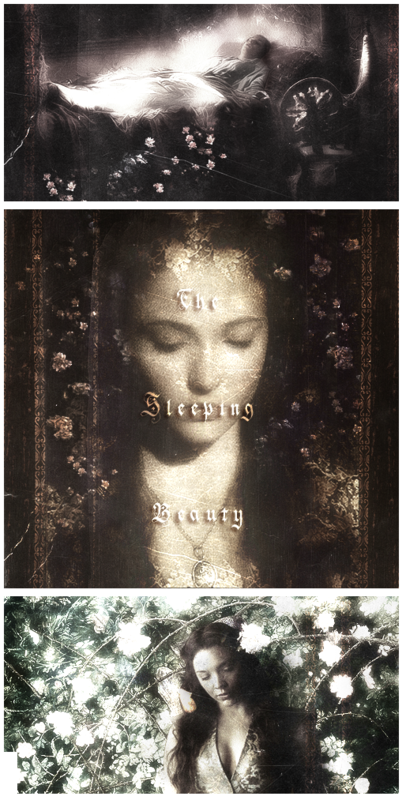 Sansa has also been likened to Sleeping Beauty, as she waits, a hostage, in a tower, keeping her true nature quiet, asleep if you will, as she waits to be free of this curse she's under (though those who put the curse on her are actually waiting for her to "flower" or bloom into womanhood so she can be married to the (truly evil) King Joffrey and get with his child. 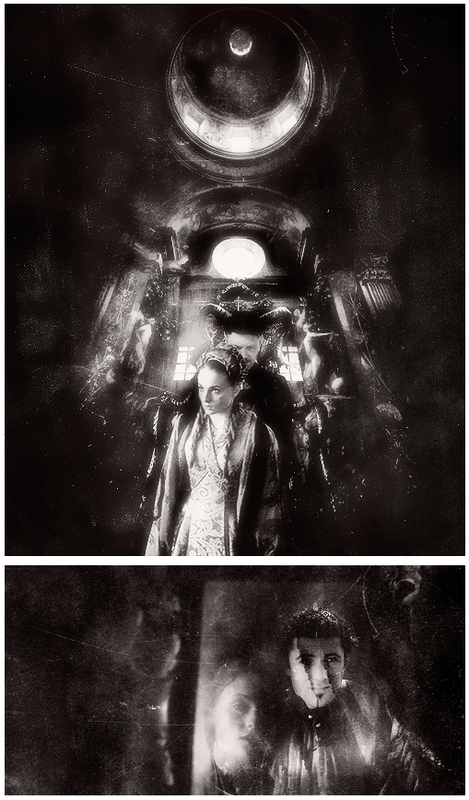 In Sansa's case, things change and though her forced betrothal to the king becomes void, she is assured she will still be "deflowered" and remains under the curse. When the replacement, Margaery Tyrell, who is set to be Joffrey's new queen, arrives, Sansa becomes, in fact, surrounded by roses. Specifically it's the Court of Roses, which is the Tyrell family sigil. During the princess’ long captivity, the riotous roses that bloomed on the thickets about her tower became her sole companions. They are the only ones she can speak to, even if it is using the "language of flowers" (in this case veiled conversations and witty use of courtly manners to say what cannot be said out loud). 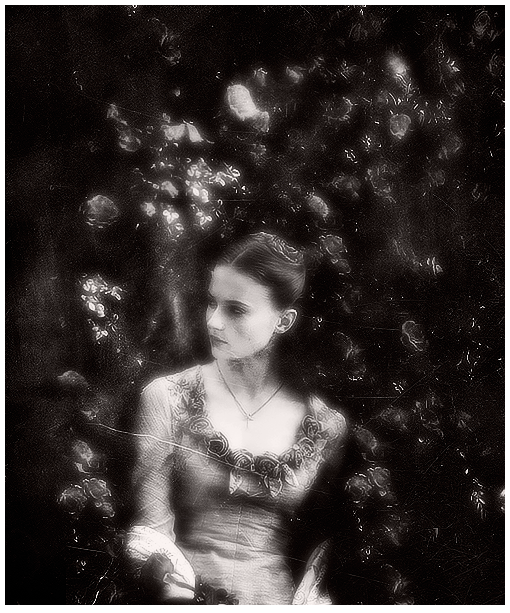 For a time, at least, Sansa is friends and allies with her flowery friends but it's very clear these roses have thorns and she would do best to be wary of their company as well. The Game Of Thrones versions of these fairy tales, of course, remain unfinished. 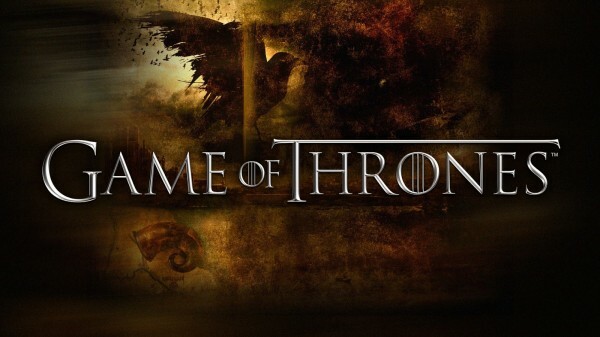 If you know anything of Game of Thrones it may be that the creator George R.R. Martin is likely to kill off any main character at any point in time. No one is safe. That this threat hangs over the stories of these girls in their versions of these tales, make it even more poignant. And once again we see the strength of the fairy tale shine through. 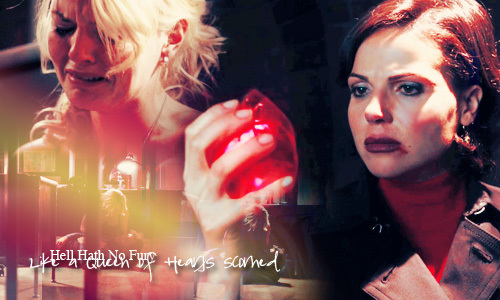 Though there is no guarantee of a happy ever after (especially here) there is still much we can take from these tales. The article is is definitely worth reading as I think they share an important point of why people like Disney versions of tales, indeed, why people like "predictably happy" versions of fairy tales. It also suggests that the "dark" in tales that some people are looking to explore (especially right now) is different to both the Brothers Grimm's nice-ified-for-their-time versions and current available, more explicit versions (eg how NBCs Grimm uses tales). Shows such as Grimm, where mythology fuses with police procedural, demonstrate how readily the fairy tale can meld into a hybrid, while the youth fuelled CW network’s new foray into the genre, Beauty and the Beast, casts a female detective as the beauty. Cynics take note; all three shows have already been renewed for the 2013-2014 seasons. Whereas the origins of fairy tales are bathed in dark curses, cautionary tales, death, lost love and spilt blood — the “Disneyfication” of all of the above, with its de rigueur happy ending, has brought positive messages of hope, inner beauty, romance and self-empowerment to shine more warmly over the magical firmament in the 21st century. We’ve witnessed this through the second season as the Evil Queen/Regina (Lana Parrilla) – who ripped out the Huntsman’s chest and killed her own father in season one – now reveals hints of inner goodness and random acts of kindness as she fights to save Storybrooke from the doom of the encroaching forest. There is an implication in the article that shows like Grimm are unpleasantly dark and that they don't contain - or maintain - hope, but I don't think that's true. I think the hope in Grimm shines very brightly, perhaps because it's contrasted by the obvious dark. I know, I know. It's supposed to be a metaphor - or at least symbolic. But that's my point. Because, you see, either preference is just one POV. 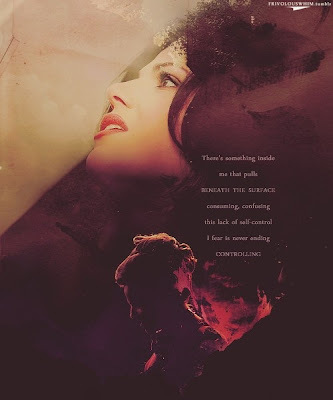 Neither invalidates OUAT's way of telling stories. Or Grimm's. Some people need to hear the tales told that way in order to relate them to their lives. 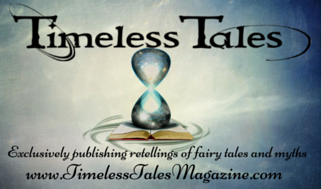 I think we need both versions - or retellings - of tales. The only problem happens when one form of storytelling attempts to eclipse all else. Then people only have one option for exploring stories and issues and that's completely the opposite of what fairy tales are for. So: I want both please. Or all. I want them all! 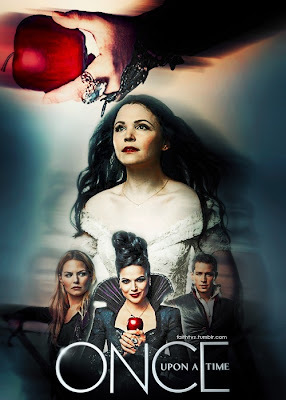 The article also discusses the melding/crossing over between fairy tale and fantasy worlds that OUAT has become known for and is gearing up to do bigtime in Season 3 as they head into Neverland. They also speculate on how "merging mythologies" of Neverland and fairy tale character histories will develop... something which I am curious about too because it's become clear that whatever aspects OUAT melds together will forever change the way this generation (at least) will view those individual tales and characters forever. 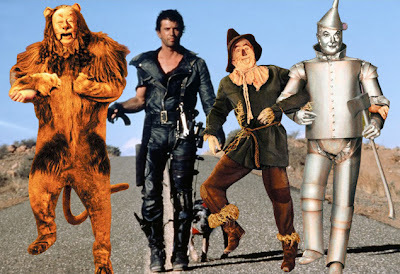 So... wasn't it not that long ago that we had Zooey Deschanel stomp her steampunky, un-red boots across Oz on Syfy's Tin Man? 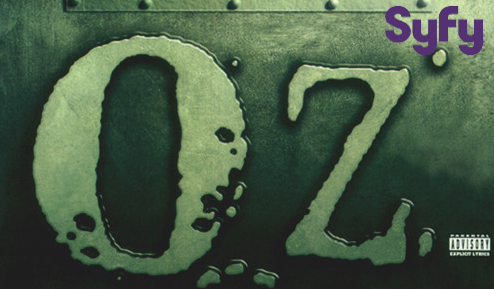 Wanted and Abraham Lincoln: Vampire Hunter director Timur Bekmambetov is venturing into television with Warriors Of Oz, a mini-series project which has landed at Syfy. Bekmambetov will create Warriors Of Oz based on his idea. 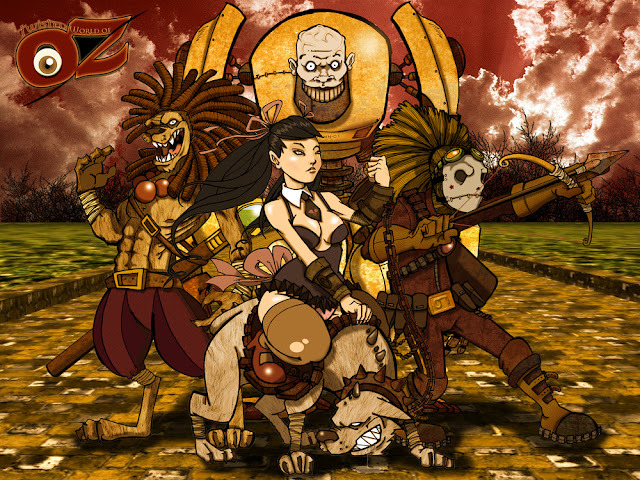 It is a fantasy-action reimagining of the classic story in which a warrior from present day Earth is transported to a post-apocalyptic future Oz* where he must team up with three other warriors, Heartless, Brainless, and Coward, in order to defeat the evil Wizard who has enslaved the land. Bekmambetov is set to executive produce and possibly direct. Search is under way for a writer to pen the mini, which will be produced by Universal Cable Prods. In fact it could be quite different. It could be very funny. It will likely be very action-y. It might make critics just as happy as Tin Man did and it might... not. This is one of those things that will either be brilliant or... really won't (and then gets shoved under the Sharknado-ed carpet). New Poster: "Saving Mr. Banks"
Ask Baba Yaga: Will Lost Love Be Regained? If the Shoe Fit, Why Did It Slip? Into the Script Of "Into the Woods"
Disney to Reboot Classic With "The Beast"